We apologize for adulterating one of retail’s most famous principles. We simply want to highlight the role data plays in modern retailing’s quest for detail. Be it optimal pricing, store layout, supply chain, logistics or merchandise, there is no facet of retailing that is untouched by the benefits of data insights. A clear understanding of different customer profiles, their frequency of shopping & average money spent on each visit are considered as the cornerstones of retail success. The metamorphosis of retailing from brick-and-mortar to e-commerce has changed the dynamics of success in this space. Data-driven insights have been instrumental in that change. Retail enterprises of all shapes and sizes now have easy access to a range of data solutions that address their specific challenges. It is common knowledge in retail that an empty shelf is a cardinal sin. For retail purists, it’s the kind of stuff nightmares are made up of. Thanks to data solutions, everybody from your corner shop to high street giants can effortlessly and effectively manage their store inventory and operations. Moreover, big data insights now help retailers to go beyond the physical confines of their busines. Jet.com and Macy’s are good examples of how data solutions can give a definitive edge to retailers. Iconic retailer Macy’s has partnered with IBM to get a 360 degrees view of its customers to support its multichannel integration strategy. Macy’s has done this to personalize its engagement with its customers. The retailer utilizes real-time site information at the customer level to drive targeted and hence profitable pricing and promotional activities. Essentially speaking, Macy’s has used big data analytics to implement customer-centric retail strategies to achieve higher customer engagement, retention and wallet share. Macys.com sifts through tens of millions of terabytes of data on a daily basis from social touch points and store transactions in its effort to better understand and target its customers. Thanks to big data analytics, the retailer is said to have increased its store sales by 10 percent. Some of the best retailers in the world have been copiously using data to their advantage. Supermarket chain Tesco for instance, has pioneered the use of customer data through its loyalty card scheme launched in 1995. Tesco has been rewarding its customers as well as itself through accurate profiling and targeting. According to one account, the British retailer was able to increase its sales by as much as 50% within five years of launching the loyalty scheme. It’s a no-brainer that mapping various shopper profiles to items in their shopping basket can boost sales.Such retailers are known to support the understanding of their stores’ catchment area through electoral roll, credit reports, national statistics and similar sources. The idea is to optimize profitability by localizing their merchandize. So if a certain British neighborhood has got a high density of South Asians, you can expect Tesco to stock a broad range of products that reflect their food habits. Staples such as poppadum, pickles, basmati rice, ready-to-eat chapattis, dal, eggplants etc. won’t be hard to find, as they will find a prominent spot on the planogram for that particular store. Thanks to tools like Google Analytics, KISSMetrics, Clicky, Crazy Egg and other web analytics platforms, website owners now have access to much deeper insights about their customers. They have access to information like visitor demographics, time spent, bounce-rate, unique daily visits, user location, user navigation heat-map and much more. This is very useful information for having the right product mix and optimizing the user experience toeventually drive online sales. While online and offline retailers have been making optimal usage of customer data, only a handful of them have begun harnessing the power of Big Data Analytics. For the uninitiated, Big Data Analytics is the process of examining large data sets that occur in a variety of different formats (text, numbers & images) at an unprecedented speed. Consider this – within the time that it took for you to read the earlier sentence, thousands of tweets have been sent out & millions of Facebook users have generated data by either liking a post, uploading a pictureor commenting on a status update. So what has Big Data got to do with Retail? Better, broader and richer analytics is the answer. To be more specific, Big Data’s ability to uncover patterns, previously undiscovered correlations, market trends and customer preferences helps retailers in a big way. It’s the icing on the cake. 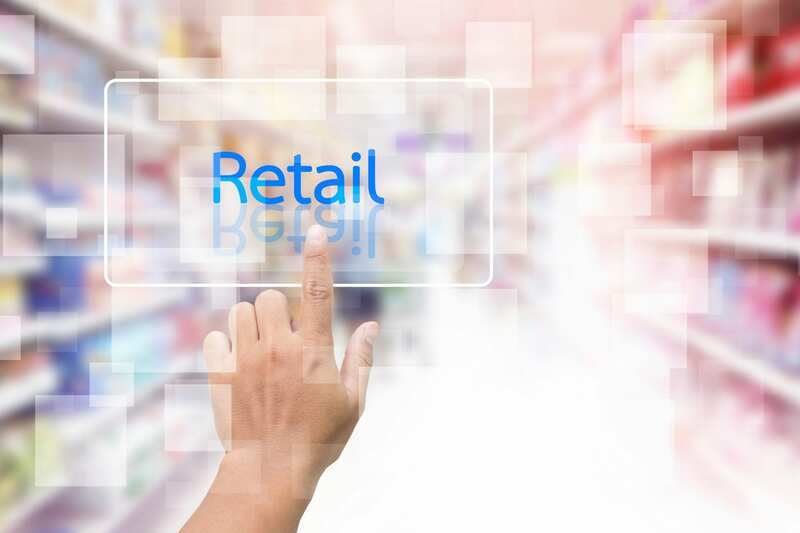 When you consider the fact that a typical supermarket stocks thousands of SKUs and an e-commerce portal stocks millions of them, you can begin to understand the enormity of their challenges. They can gain advantage over their competitors by optimizing their pricing & merchandising strategy. Big Data solutions providers like us, give retailers a leg-up to make real-time decisions. By tracking 800 million unique products across 130,000+ brands over 1100+ categories, Intelligence Node delivers actionable insights and brings order to the chaotic retail universe. Retail analytics is a disruptive technology through which more and more retailers are gaining competitive advantage. You can get in touch with us to see first-hand how a pricing intelligence suite can track your competitor’s pricing strategies and optimize your own offering. To boost product visibility and sales with optimized prices, retailers and brands can use retail data analytics to access real-time insights into the global e-commerce landscape. Let’s look at how Michigan-based furniture manufacturer Herman Miller can use retail data analytics to gain a competitive advantage in the global retail market.